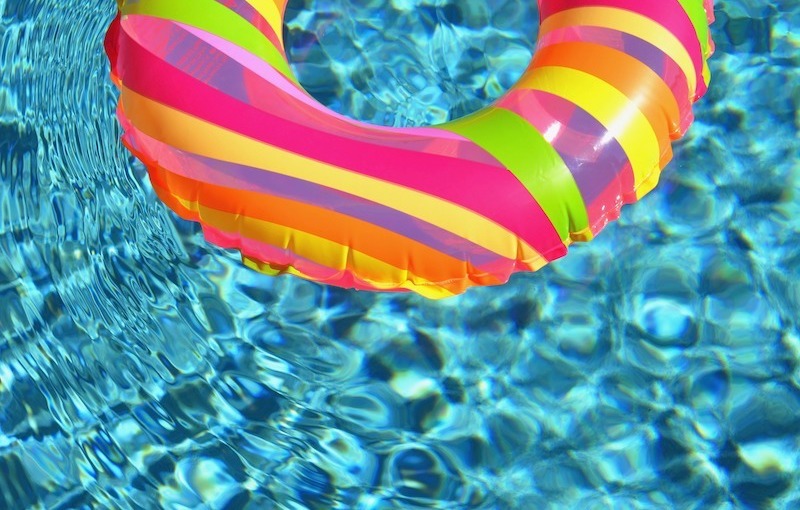 If your company is hosting an event in the summertime, you’ve probably been wondering what new summer-themed promotional items you can include in your swag bag. From team building events to trainings and conferences, as a rule of thumb, you want to make sure your company swag will be appreciated, they’ll want to keep and use long after the event. 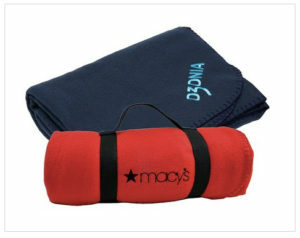 Another thing to consider is, if you are hosting a conference your attendees will be enjoying some time off, showing their outdoor swag out in public places, exposing your brand beyond the event attendees. There are so many cool swag options this year that it’s really exciting to find things that are truly useful and nice looking, with a touch of unexpected, for that wow factor we are going for. If you are hosting an outdoor event this year, like a team building activity, a company picnic, or sponsoring a walk of some sort, this versatile sweat-wicking cooling band will be very much appreciated. We love that it can be customized completely, with your full-color design. Plus it can be worn in about a dozen different ways. We love the retail look at this longer length, extra-soft hoodie tank. It’s lightweight, tag-free, and it has a front pouch pocket. Who doesn’t want a pair of these? They do come in really handy in those long, hot summer days. These are well made and can be personalized in a variety of ways. 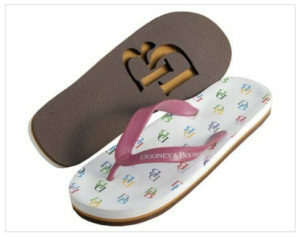 You have multiple color combination choices, and you can also get your logo stamped all over the sand, with the die-cut footprint for the soles. Check out all the options here. It can get chilly sometimes in the summer. That’s why we included this awesome fleece blanket. The wide variety of colors makes it easy to find a perfect match for your brand. This is one of those items people will get a lot of use out of, keeping your company top of mind. Explore more blanket possibilities here. You will agree that sunscreen is a must-have for the summer. 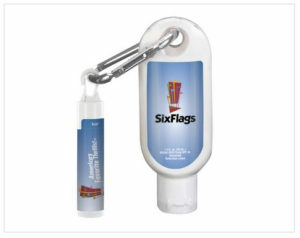 To make it even more useful, we decided to pair it with lip balm with a carabiner holding them together, that allows to clip it to an easy access place. The label can be fully personalized with your full-color design, so you have a lot of room to show your brand. You can never have to many of these, and the carabiner makes it super convenient, so this one will be a keeper. Explore more sunscreen container styles here. Another summer must-have. This year there are some really cool water bottles that look just like some of the retail brands, at a fraction of the cost. This one comes in a wide range of bright colors. It’s stainless steel and double wall insulated, so it will keep their beverages cold for a long time. The list wouldn’t be complete without a cooler bag. There is a variety of options to choose from, including wheeled ones. 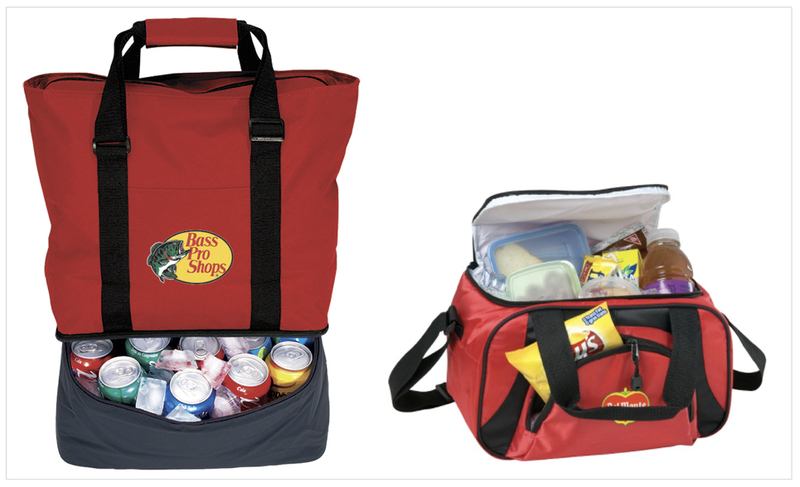 We choose these two, 12-pack style, because they are the perfect size for picnics, sporting events, and summer parties, and also because, besides your custom printed logo, you can also personalize them with your recipient’s initials. A nice big bag will always be put to good use. More so if it’s a stylish one. They make perfect containers for your events attendee swag package, and not only to hold their event materials but also after the event, showing your logo all over town, on a nice looking bag. Explore stylish canvas and jute bag possibilities here. 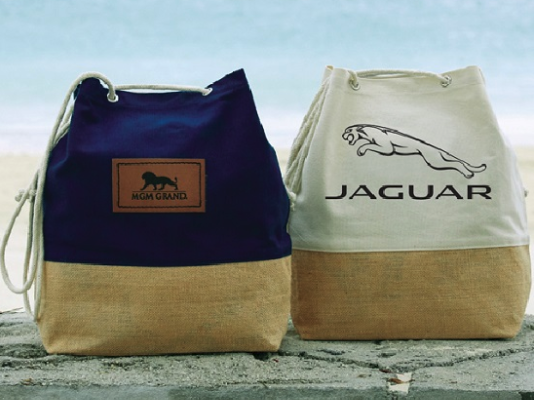 Customized beach towels are a no-brainer for events in beach towns, but they will also be useful around the pool. Therefore, they are always worth considering when planning your event swag. We love the high-end look of this one, with its tone on tone customization option where the print looks as if it’s part of the fabric. It’s so nice and soft, as opposed to those screen printed where the ink sits on top of the fabric. Even though they are not new, these rubberized UV protection sunglasses make our list of recommended promotional products for the summer. 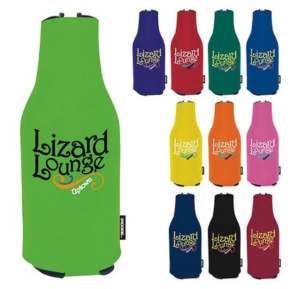 They are fun and really popular and come in a wide variety of colors and customization options. Another summertime tried and true, koozies make an excellent economical option. We chose this one because it covers the whole bottle, but the traditional ones will work too. 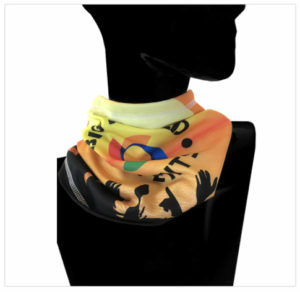 They come in nearly every color and can be customized any way you want. The summer is not just sunny days. We know that here in Chicago. What if you’re holding a conference and it just so happens that the weather decides to bring rain? 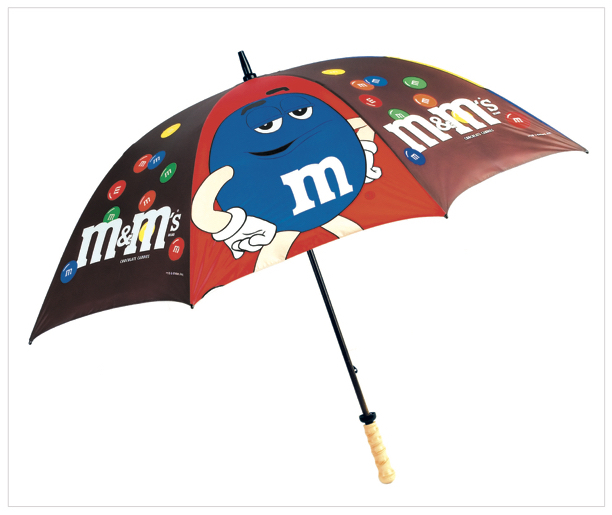 If that’s the case, your attendees will really appreciate a good umbrella! Not only will it make their experience much better, but it will create buzz around how thoughtful your company is. And even if the weather turns out beautiful, you know it will rain sooner or later, and a good umbrella will come in handy and always be appreciated. 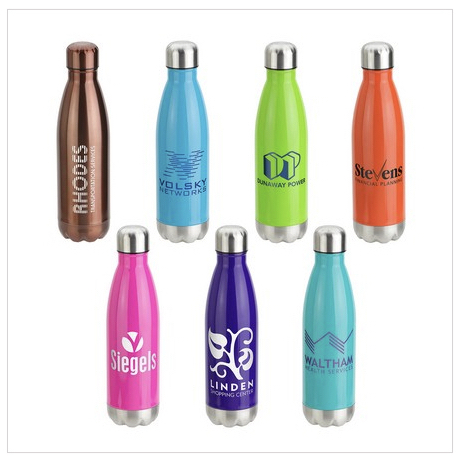 They truly make a great gift, and there are many styles and personalization options. We couldn’t leave this one out! If you are looking for something summery but more substantial, this set is a great option. 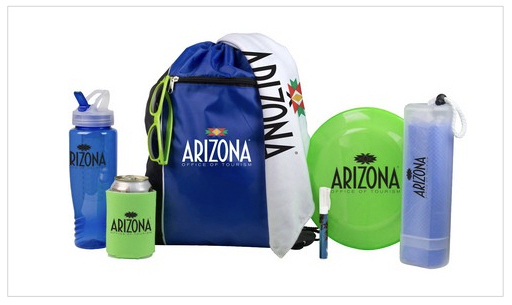 Nice color coordinated summer necessities: a generous size drawstring backpack containing a cooling towel, a pair of sunglasses, a frisbee, a handy rally towel, a sunscreen pen stick, a foam can holder, and a water bottle. It goes without saying, but we can make the kit the way you want, just get in touch and let us know what you have in mind. This is our summer promo items short list of recommendations! If you want to discuss ideas for your projects contact us, we are here to help! If you’d like to browse more summer promo ideas check our Summer Collection.